“Around 12 PM, the Ukrainian military launched the shelling of Spartak township and the Former Airport using 82mm mortars,” the source said. He added that the military shelled from the positions in the area of ventilation shaft of mine “Butovskaya” and Opytnoe township. In total, the enemy fired 12 mortar shells during the shelling. In their interview to Donetsk News Agency reporter, local residents of Spartak township told that the shelling by the Ukrainian Army lasted throughout the night. “It was a hell of a night as usual. The shelling began at about seven o’clock in the evening, and the last gunshot we heard at six in the morning. 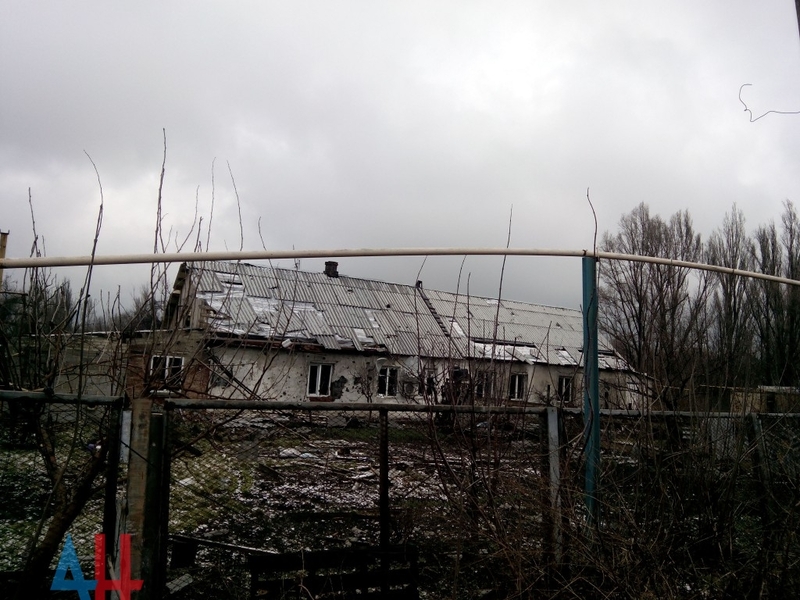 As always, they shelled using something heavy, windows and walls of the house were shaking,” one of the residents of the village (a woman) told Donetsk News Agency. At the moment, there is no information about the devastation and casualties. This entry was posted in News from Ukraine and tagged Donetsk, DPR, Shelling, Spartak, Ukraine, Violation of Ceasefire. Bookmark the permalink.